MRI Budgeting & Forecasting facilitates collaboration on budgets within a single environment, and provides you with deep insight generated by its lease-level detail. Work for MRI Budgeting & Forecasting? Learning about MRI Budgeting & Forecasting? The search option, allows to look up things even if it is an invoice, vendor, or entity. "Useful for one dimensional local business - Terrible for big growing company"
Very user-friendly. Upload and download to excel is very efficient. Easy report formating is very helpful. Friendly customer service. Entering exchange rate is a big pain because you have to manually enter each daily rate twice, ie coverting from USD to CAD, you have to enter USD to CAD rate and CAD to USD rate.. daily! Very time consuming and would not work if you have a business that operates in multiple currencies. Budgets can only be loaded in native currency- consolidating financials of multiple currencies into one fanancials using a common currency is possible to comparing to budgets in the same format does not work. Not sure what this really means?? What Budgeting and Forecasting solution do you use? "Good tool, but can be very slow"
I like how easy it is to search different reports. Could be more user friendly. The manual is cumbersome and hard to get through if you have a question. I haven't used any other accounting software, but this program meets my needs. Float is a cash flow forecasting, budgeting and management tool that connects with Xero, Quickbooks Online and FreeAgent so give you an accurate view of your cash position now and in the future. Yardi Advanced Budgeting and Forecasting allows you to engage in highly effective planning processes by delivering budget projections with increased accuracy and the ability to make quick, accurate, flexible forecasts. Budget-management solution that provides real-time budgeting, helping you avoid overspending by understanding and even enforcing budgets before spend is committed. KES is a web-based, collaborative environment that gives budget administrators visibility and control over the budgeting, forecasting and re-forecasting process. Finanical planners, calculators, and more. PlanGuru is a tool for budgeting, forecasting, and performance review for small and mid-sized companies, it has a simple, intuitive interface and solid integration with Quickbooks and Excel make implementation and utilization simple for businesses of all sizes and shapes. CashFlowMapper is a tool designed to allow you to accurately and confidently forecast the movements in cash flow allowing for all the different types of transactions your situation has. * We monitor all MRI Budgeting & Forecasting reviews to prevent fraudulent reviews and keep review quality high. We do not post reviews by company employees or direct competitors. Validated reviews require the user to submit a screenshot of the product containing their user ID, in order to verify a user is an actual user of the product. Hi there! 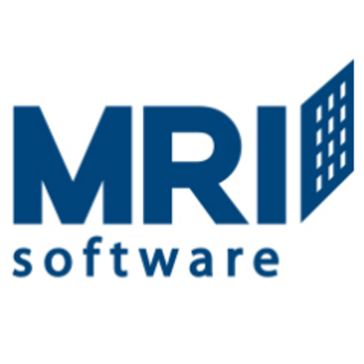 Are you looking to implement a solution like MRI Budgeting & Forecasting?